Sainsburys | What is your bulk order policy when ordering groceries online? > What is your bulk order policy when ordering groceries online? What is your bulk order policy when ordering groceries online? We apply limits on some of our products either for legal reasons or to protect stock availability, ensuring as many customers as possible are able to buy our products. However, if you want to order more than the limit of an item whilst shopping online with Sainsbury's, please call our online customer care team on 0800 328 1700, who will place your bulk order for you. We will then do our very best to fulfil your order in full, however this may not always be possible. You will need to do this at least 7 days before your delivery. We're sorry, but we're unable to offer a discount on bulk purchases or fulfil orders for wholesale purposes. Your order must be for your own use as a consumer, and is subject to normal pricing and availability while stocks last. 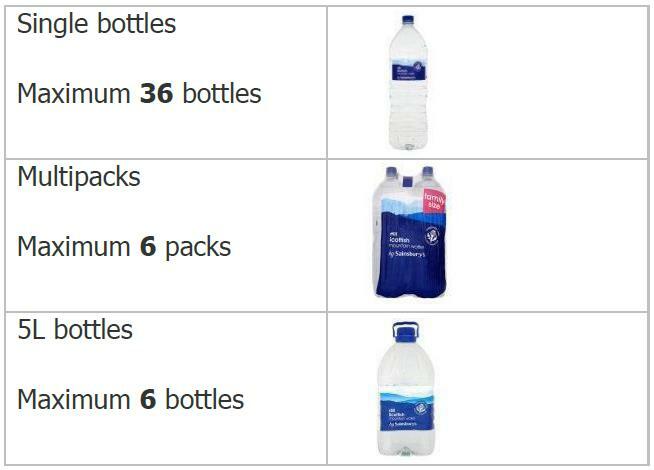 Buying bottled water in bulk online? Buying alcohol in bulk online? Please see below for limits on buying alcohol online. 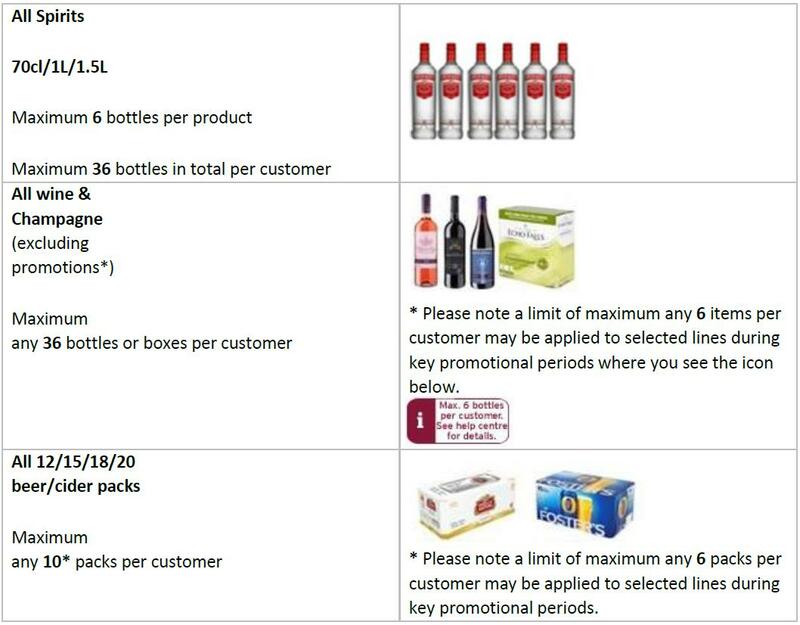 For key wine and champagne promotions please note that we're unable to exceed the below limits. The online customer care team will be able to advise you if this applies to your order. Our policy states that sales are restricted to a maximum of 2 packets of a combination of any Paracetemol, aspirin or ibuprofen based products in a single transaction. Sales are also restricted to customers aged 16 and over. We have taken this decision as a responsible retailer and in line with the advised guidance from the Medicines & Healthcare products Regulatory Agency (MHRA). This policy balances the needs of our customers for immediate pain relief and prevents stockpiling of medicines which may lead to accidental or impulsive overdose. Further medication above 2 packs has to be sold under the supervision of a pharmacist.